In the 1990s, word spread that several hundred thousand Hmong people had accepted Christ as their Savior. Many Hmong heard the gospel through evangelistic short-wave radio broadcasts. 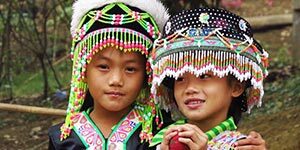 Today, the Hmong people are considered to be a reached people group! Praise God that His gospel has reached the Hmong people! May more Hmong come to Christ and be able to attend church trainings. Pray that the Hmong will be used by God to share the gospel with the other people groups around them. Pray that Hmong Christians will have access to God’s Word. In some villages there are only one or two Bibles.